Relax and be amazed with the beautiful scenery on board your Clipper Vacations passenger-only ferry to San Juan Island or Victoria from Seattle. In addition to the on board facilities and services, these waters are the perfect place to watch whales and the islands deep forests will captivate you. 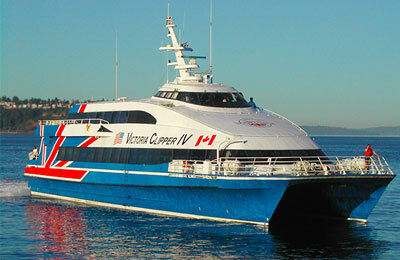 The fleet consists of two high-speed catamarans used for passenger ferry service between Seattle and Victoria, BC and one catamaran used for Seattle/San Juan service and whale-watching excursions. Passengers aboard these vessels will find comfortable, roomy seats, tables for playing cards or catching up on work and open deck space for getting a breath of fresh air or taking in the sights. The Victoria Clipper IV reaches speeds of up to 30 knots, making it the fastest ship in our fleet and among the fastest passenger vessels in the Western Hemisphere! 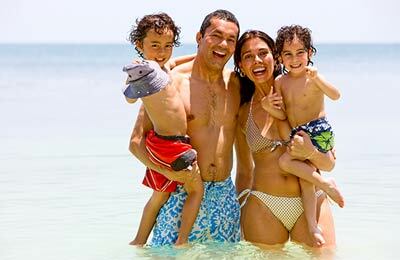 With scheduled departures year-round, the Clipper Fleet carries thousands of passengers every year for business and vacation fun. Food and beverage are available for purchase on board, including continental breakfast baskets and light dinners. Please note that you will need to pay your purchases with credit card (Visa, MasterCard, American Express or Discover Card). Please remember that the passport is required and you must be at the port at least one hour before your sailing. There's also a convenient nearby garage where you can park your car during the cruise, just remember to keep your Victoria Clipper ticket stub to get the Clipper rate. How long before departure should I arrive for Clipper Vacations?